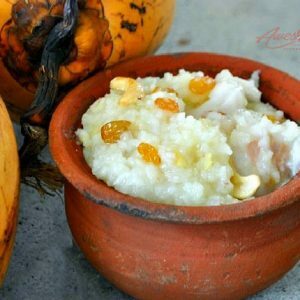 Pongal is a traditional and popular South Indian breakfast dish. 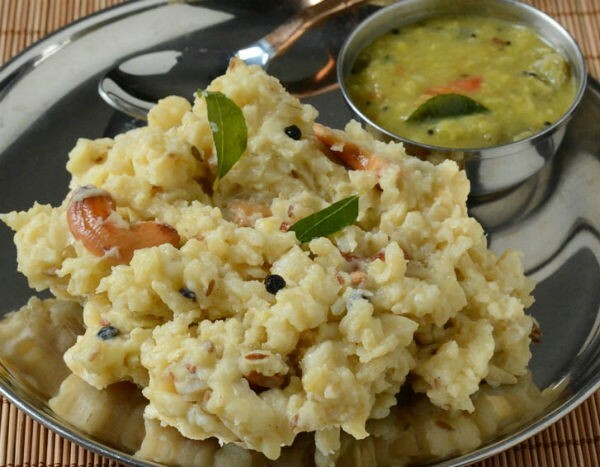 The regular pongal is made with white rice and dal. 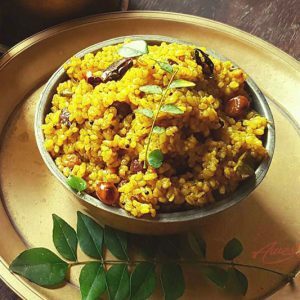 This variation is made using brown rice and dal. 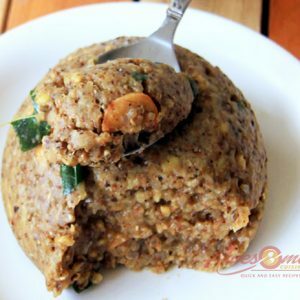 A healthy and a filling dish to kickstart your busy day. Wash and soak the brown rice and moong dal for half an hour. Peel the ginger skin and finely chop them. Add the soaked rice, dal, salt and asafoetida powder. Add the required water and cook until soft and mushy. To a pan, heat ghee in a medium flame. Add the pepper, jeera, ginger, curry leaves and cashew nuts. Fry till the cashews turn golden brown. 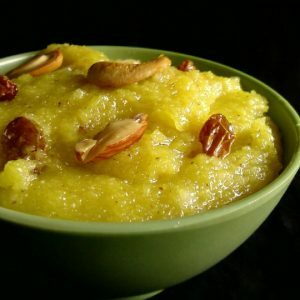 Transfer it to the pongal mixture. Add ghee and mix gently. 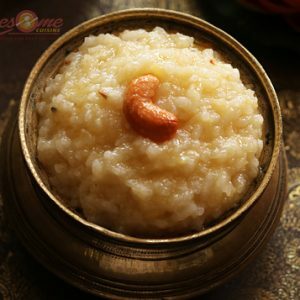 Feel free to comment or share your thoughts on this Brown Rice Pongal Recipe from Awesome Cuisine.